A Brock will again stand on the podium at Mount Panorama when Phil Brock presents the Peter Brock Trophy at next month’s Supercheap Auto Bathurst 1000. Supercheap Auto and Supercars announced Phil Brock will present the trophy named after his famous brother as a part of special tribute to the motor racing legend at next month’s race. This year’s Supercheap Auto Bathurst 1000 will celebrate the man known as the 'King of the Mountain', 10 years after his passing. Phil Brock raced with his brother several times at Bathurst and presented the first Peter Brock Trophy to Bathurst 1000 winners Craig Lowndes and Jamie Whincup in 2006. “Ten years have passed since I presented the very first Peter Brock Trophy and I miss Pete, as do his fans - this is for all of them as well. I’ll have a tear in my eye as I hand over that trophy, you can bet on that,” said Brock. Peter Brock won the Bathurst 1000 a record nine times, and ushered in a new era of professionalism in motor racing in Australia that made him a fan favourite across his career. For 2016, Supercars have planned a number of celebrations of the life of Peter Brock, including a parade of many of his famous cars before the big race on the Sunday morning. 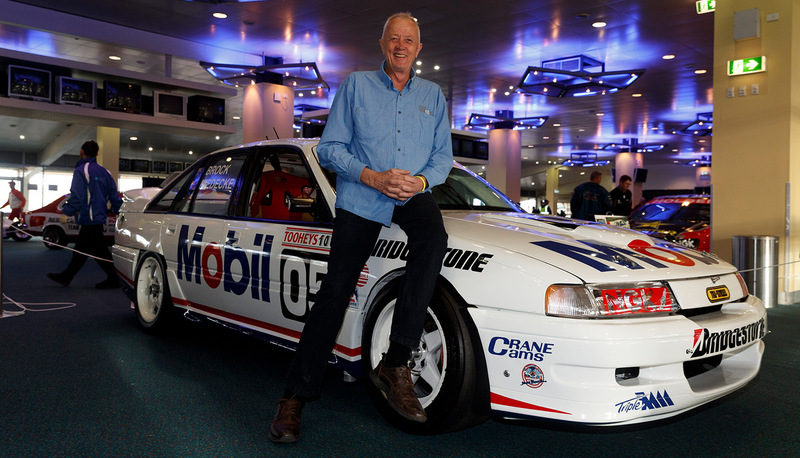 Twelve cars spanning across Brock’s entire career will be driven by his brother Phil and each of the 11 winners of the Peter Brock Trophy since 2006.